There are two things I learned here: firstly, it’s never about ME. My pride often paralyses me from being used to my full potential in God’s plan. I try to do things for people to remember me, rather than to be a reflector of Christ. What encouraged me was that while we were in Sabah, we had spent about a week in the hostel, doing more than just teach the kids; we lived with them and did life with them, building relationships and getting to know them in a way we never would have been able to, had we only stayed for a few days. Then we spent a few days in KK, and when we returned to the hostel, we saw all of the kids waiting for us outside. They wanted us to come back, they wanted us to teach them, they missed us – just as we had missed them. 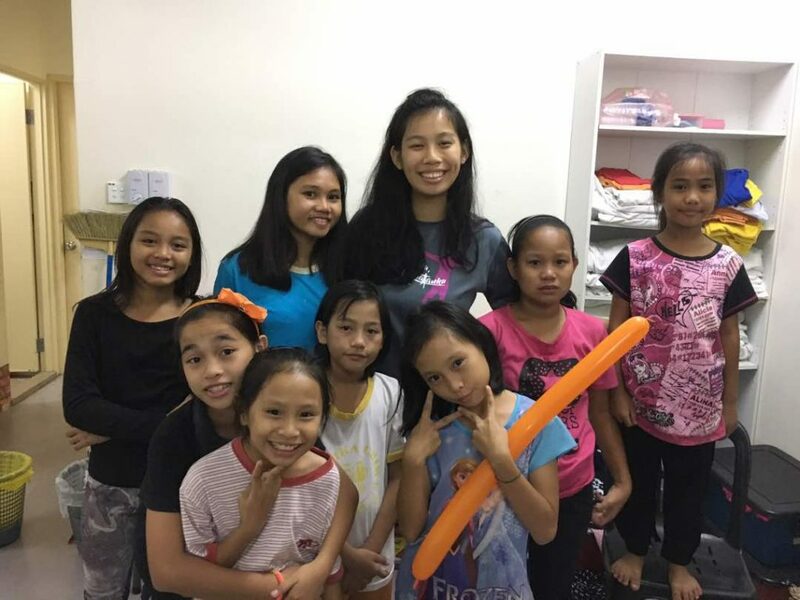 And while I don’t think I’m any closer to spreading education to all four corners of the globe, I truly believe whatever little I had done in faith in God, had made a difference in the lives of even just a few kids in Jasmine Hostel. Secondly, if I don’t do anything, nothing is going to happen. Seems kind of silly right? Yet the simple truth is that I CAN’T solve all of the world’s problems. A quote by Henry Van Dyke reads, “Use what talents you possess: the woods would be very silent if no birds sang there except those that sang best.” So no matter how hard it is, or how inadequate we feel, always remember that doing something is better than doing nothing. Another thing that I have learned throughout this experience is to be patient and to enjoy the simple things in life. 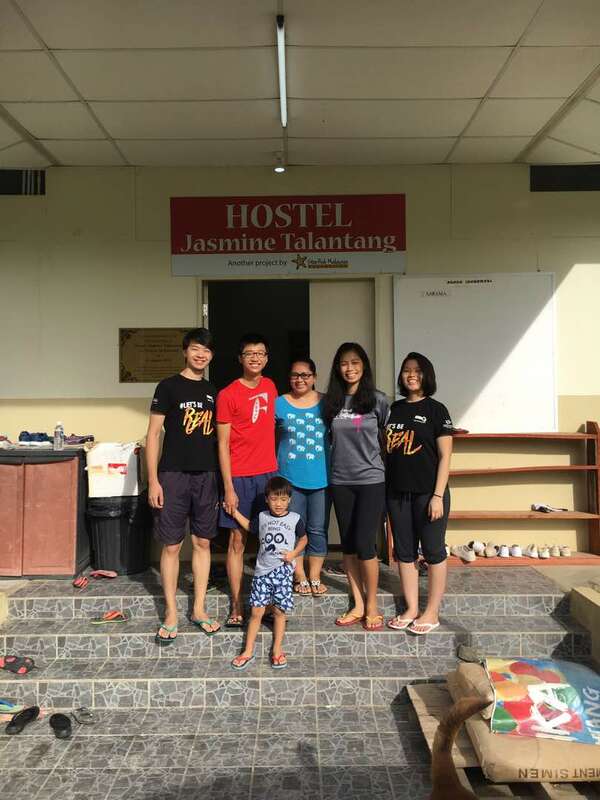 To this day, I still miss the Jasmine Hostel kids, the simple home-cooked food, the beautiful views, and the joys of just playing outdoors with the kids. And yet, my patience was truly tested in dealing with people – be it working with people of differing personalities or teaching rambunctious children who simply could not be bothered to listen. Yet, I am truly thankful that through this, I managed to grow in patience and love and understanding for others. There was a young girl who managed to get on my nerves at every teaching session because she refused to do any work and seemed to love throwing tantrums and crying whenever she couldn’t get her way. By God’s grace, I managed not to lose my temper at her too much, and learned to focus not on small triggers but on the bigger picture, the greater mission and reason for why I was there. I learned to take a step back and reflect before responding, instead of reacting immediately in anger as I normally would have. This pushed me to rely on God, to be sensitive to what He was teaching me, to try and understand where others are coming from, rather than judging others and simply getting mad at them. And in the case of this little girl, I later found out more about her family background, and I realised how blessed I am in contrast to her, and how understandable her actions thus were. And little by little, I learned to show a bit more love to her and the other children as well. This, I suppose, is how I will do life differently upon leaving the land below the wind, or rather, the land that has stolen my heart. I no longer want to be someone who is easily angered, or completely overwhelmed at the prospect of doing something to make a difference. I want to focus on what really matters. I want to be sensitive to God’s calling, and to do what He says rather than being scared to follow. After all, our faith was never meant to be a private affair – it must overflow.